There are many benefits to taking children to the local park to play, from getting fresh air to improving fitness and mental well-being, however at times especially during winter when time can be limited and it is difficult to get to the park. A good alternative is to create an outdoor play area at home. Creating a play area in your garden will mean that your children will be able to have fun climbing, sliding and swinging – without having to leave your home. If you’re thinking about creating an outdoor play area in your garden but don’t know where to start, these tips should help. The most important thing to remember when creating a play area in your garden is safety. This means ensuring that you clear a large enough space for the equipment you want to install and making sure that the play area is away from any potentially dangerous objects or structures. As well as this, think about the surfacing you will have under your play equipment, especially if it is something children will jump or may fall off. Along with making sure the play area space is safe before installing the equipment, throughout the year you need to continually check the area, for example during autumn and winter, fallen tree branches can cause children to trip over and injure themselves. Once you’ve cleared and created a safe play area you need to decide what play equipment you will install. There are several factors you need to take into consideration with this including equipment that is suitable for your children’s current age and what will be suitable in the future, how large your play area is, price, and what your children will enjoy playing on. Often play equipment can be adjusted to suit different age groups so that you don’t have to buy completely new equipment when your children grow older. Not only is this more cost effective in the long-run, but it also means that if you have children of different age groups they can all enjoy playing on the equipment. It is also important that the equipment you buy is suitable for the size of the play area, as if it is too large it could become dangerous. As well as this, having a practical budget in mind is important when choosing domestic play equipment, but while you will want to keep within your budget it is essential to spend enough to ensure that the equipment is safe and of a high quality so that it will last for years to come. Finally, choosing equipment that your children will enjoy playing on is a must or else the play equipment will stay outside unused. No matter how high a quality the equipment you buy is, over time it will need to be maintained and repaired. At Online Playgrounds we provide a wide range of domestic spares that are specifically available for play equipment privately owned. 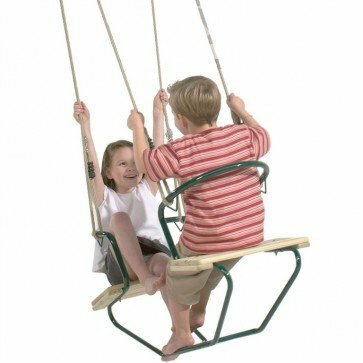 However, wherever you buy your play equipment spares from, it is important to ensure that they are manufactured to a high standard and can withstand years of outdoor conditions.